We offer tailor made solutions to public and private corporate entities and individuals alike. Our highly skilled and experienced staff can design, and deliver courses to agreed outcomes leading to qualifications from various accredited bodies to suit customer needs. We are an ISO 9001 (2015) Quality Assured organisation and have attained Investors in People (IiP) status as we consider people to be our greatest asset. An approved training and test centre for; The Institute of Leadership and Management (i-l-m), British Computer Society (BCS) in delivering the internationally recognised IT user qualification, and an Edexcel/Pearson centre. Our training are delivered in small class size with a tutor to student ratio of 1:6. Our quality courses, training and office location have ample on street parking and nearby NCP car parks. Our office is easily access by public transport and within walking distance to the City Centre. We can offer training at client’s premises and can provide training equipment. They are all highly experienced in their subject knowledge, enthusiastic, and motivated individuals. Roy is an experienced professional senior manager, with proven experience of nurturing and building business relationships. He has extensive background in developing public and private sector initiatives. He is a leading player in undertaking a key role in prompting, invoking and managing change in organisations. An excellent trainer highly experienced in strategic planning and networking, project performance and management techniques, and flexible to accommodate the needs and aspirations of client-driven projects. Managed difficult, potentially high risk issues and working in or leading partnerships and joint ventures. Roy has a thorough understanding of the international inward investment market and the key factors that can achieve success. Veronique has a master degree in language and a specialist in teaching English for foreign student. She has worked with colleges in France and training academy in Wales. Veronique is specialised in working with students seeking employment and people with fewer opportunity. She has a vast experience working with the food/catering and teaching English to foreign students. A French native speaker and able to communicate in German and Spanish. Jane has worked for the Local Government for over 21 years. Her main area of work has been in Education within the Special Educational Needs (SEN) Department. Jane’s role was writing Statements of Special Educational Needs (SEN) for pupils who had gone through the Statutory Assessment Process. When a child had been identified with additional learning needs they would undergo a series of appointments with professionals school staff, specialist teachers, educational psychologists, doctors and other medical professionals. Jane’s involvement was producing a Statement that would clarify the pupils needs and identify what support the child will need to access education. The professionals reports would establish the child’s Statement. The Statement Jane produced would clarify the correct level of support that the child would need to access education in school. Linda is a very accomplished training and management professional with expertise in all aspects of sales. 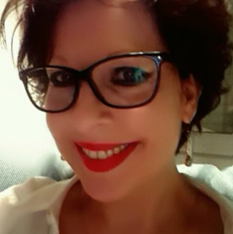 She has over twenty-five years experience in the sales industry, B2B, B2C, Government, Education and eight years experience in the retail Industry Proven prior experience of coordinating and facilitating training programs, ability to adapt style of delivery from technical to nontechnical audiences. Her professional development includes CIEH Level 3 Education and Training qualification (PTLLS) with vast experience at conducting freelance training for a variety of industries and businesses sectors, Universities, Colleges and Schools at all levels. She is accomplished at running training events and workshop days for business forums and SMB’s (small, medium business). Linda is comfortable in delivering bespoke and company standard training material including new to scheme/ induction training, refresher courses, sales/ after-sales specialist roles and one day, high impact training using a range of different blended training approaches to meet the needs of all learners. Melanie is an effective and efficient training and development professional improving a vast range of individuals and businesses through training, assessment and other learning and development opportunities. Adaptable and versatile. Competent and experienced in a variety of subject areas and in achieving desired outcomes in diverse circumstances. Her main strengths and qualities are in; Leadership, Management, coaching and mentoring including; Change Management, Problem Solving and Decision Making implementation and delivery. Melanie has significant experiences in assessment services, coaching and mentoring executive, designed and delivered workshops and learning programmes using a variety of training methods. She has structured a programme of recruitment, selection, induction and performance management for a team of call centre staff. Throughout his career Graham has been involved with some of the most environmentally challenging industries. A chemical engineer by profession, his early years were spent designing and commissioning plant for the manufacture of heavy chemicals, fine chemicals and drug intermediates. He then worked for eight years as an environmental regulator and team leader for central government before taking up the role of a senior environmental manager with the UK’s largest steel producer. His academic qualifications include a Master’s degree in Integrated Environmental Management and a Doctorate in Environmental Assessment of Industrial Processes and he has specialised in environmental legislation, environmental management, waste management, environmental assessment and land remediation. Graham has offered advice and guidance on both environmental policy and regulation in various government and industrial committees and working groups. He has also lobbied at both National and European levels for the best outcomes for industry in respect of proposed new environmental legislation. Menna is a highly motivated and energetic trainer and consultant whose specialism in technology training has been applied widely across public and private sector organisations. A dedicated professional who believes in investing in the development of others to help them achieve their potential. A team player involved in many business projects. Self-motivated in developing new skills and qualifications to keep competitive. Menna is an experienced SAP Trainer. She is also a Dyslexia Support Tutor and Dyslexic Assessor. Chris is a vastly experienced tutor with many different training’s ranging from Health and Safety to Train the Trainer. His experience as a recruitment and training consultant bring together his abilities to confidently train in areas of his expertise. Chris is dedicated to each and every candidate that he trains to make sure they get the most they can out of the training. He is specialised in health and safety training which is shown through the different qualifications and accreditation he owns. A dynamic and innovative IT trainer with a flair for providing high-quality customer-focused training. Richard is a qualified teacher with a Certificate of Education and is a firm believer in personal development and lifelong learning. Constantly developing new teaching methods and following current best practice in teaching are key ingredients which have contributed to Richard’s success as a trainer, and have enabled him to consistently provide a very high standard of training in both the public and private sectors. Richard is a fully qualified Microsoft Certified Trainer (MCT) and is a member of the Institute for IT Training. working in various post 16 sectors from Further Education, Community and Adult, Local Government, Vocational and Corporate settings. Peter is highly qualified and has spent considerable time ensuring he holds relevant qualifications in the sectors he teaches. A Microsoft Certified Trainer, an NVQ Assessor, MOS Specialist Master and a degree holder in Education and Training. Peter has an excellent understanding of the learning cycle and the barriers that people may have with IT. His approach to teaching, training is learner focused with the emphasis on encouraging learners to apply their learning to their own experiences or work environments. To achieve this, he uses appropriate teaching strategies that will enable the learner to accomplish his/her learning objectives. Allan is a fellow of the Association for Project Management and a highly motivated project management professional with over thirty five years of experience. 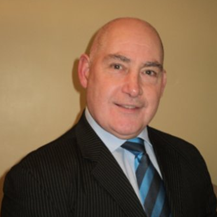 He has a proven track record in respect to managing all aspects of Programme & Project Management whilst drawing upon his comprehensive knowledge of the subject supported by decades of “hands on” experience working with leading Defence organisations in the UK and worldwide Business environment. Tereza has been a practising architect for over 20 years She has worked in architectural organisation throughout the world and has a great deal of experience in both delivering, planning and designing large and small scale projects. She has designed architectural projects for organisations including; Tesco, Lidl, custom built homes and various small project for the aforementioned companies. Tereza speciality is in delivering both 2D and 3D CAD. Tereza’s experience in Architecture has provided her with a working knowledge that is second to none. She is friendly, professional and capable of explaining complex ideas and concepts in a simple to understand manner. Jim is our lead English tutor is highly qualified with over ten years experience of teaching in various fields, in the public and private sector. He has a vast experience of teaching all age groups in the disciplines of English and Technology. He also has ten years experience prior in the Engineering sector and associate membership of the Institute of In-cooperated Engineers (IIE). Jim also has extensive experience of preparing students for their exams including IELTS, PTE, FCE, GCSE and City and Guilds. He has also prepared students for work placements in the UK and supplied them with internships and prepared students for General Medical Council recognition and University placements. He is currently also learning French to intermediate level. Gareth specialises in Construction Law, Wills, Trusts, Probate and Inheritance Land Banking. He also practices Personal Injury, typically medical negligence and fatality cases. John is a Fellow member of Institute of Chartered Accountants qualified in July 1991. He is a Chartered Accountant with a wide range of sector experience. His expert areas of services provided are in Accounting; Personal Taxation; Corporation Tax; Limited Company Accounts; Payroll Services, and VAT. He has been a Group Financial Controller specialising in assessing the viability of new business ventures and projects including the preparation of revenue and costing analyses of project planning of companies’ expansion, exit and diversification proposals. John is passionate about teaching and has vast experience across the full training cycle. He has excellent commercial awareness and is a first-class communicator at all levels. John has a proven track record in performance management, and his superb coaching skills can be attributed to his vast professional experience. An accomplished sales and marketing professional who also is a skilled and qualified trainer; specialising in Communications Skills, including cutting edge Sales Training, Recommendation Marketing Strategy (the training thereof as well as Implementation Techniques), Word of Mouth Marketing Strategies, Presentations Skills (informational and commercial), Human Relations & Influencing Skills, which include World Class Customer Care and Outstanding Customer Service skills. A Self-Motivated and resourceful individual with the drive, commitment and insight necessary to deliver training effectively. Capable of reinforcing messages and material into the minds of delegates for both prospects in sales situations and participants in training programs and seminars. Andrew is an experience practical tutor and is also a former surveying lecturer at the University of Glamorgan. Andrew was a survey manager for Hyder Consulting, responsible for undertaking topographic surveys for the company and also responsible for developing the survey business. Prior to commencing employment with Hyder Consulting, Andrew had worked on a variety of projects, in mining, tunnelling and civil engineering, the most significant project being the Channel Tunnel, where Andrew was employed as a surveyor between 1989 and 1991. An all round tutor with experience in surveying and setting out. Ace McCarron is a leading Lighting Designer in the world of opera and theatre, with over thirty years of experience as a freelance. His work has taken him all round the world, but has much experience of working in Scandanavia, Belgium and The Netherlands. Initially trained in Electrical Engineering, and having worked as a contract draughtsman, he has also taught his subject, both in the classroom and in-service, with Croydon College, Wimbledon School of Art and Design, Central St Martin’s, and the Royal Welsh College of Music and Drama. Ace has been using AutoCAD for the last fifteen years, his 3D skills being particularly valuable in his regular Production Management work for the Nofit State Circus. A company director in two Consultancy Businesses and Freelance Trainer and Assessor; an associate Lecturer at Coleg y Cymoedd and an Accredited External Assessor for the ILM Awarding Body, Judy has over twenty years of experience of specialist organisational development (OD) consultancy, H.R and Training Services across all public, private and third sector markets in the UK and Internationally. Combining her background and qualifications in Occupational Psychology and Management Development with her love of training Judy demonstrates a highly experienced yet personal Learner-centred approach to training individuals. Currently delivering a range of ILM qualifications, stand-alone ‘business management skills’ training and Teacher training qualifications; Judy’s practical and friendly approach means an exceptionally high achievement level for all her learners and managers with a 100% positive feedback result. Role-modelling her belief in the benefits of study and training Judy is currently engaged in the completion of her PGCE and Prince2 qualifications, adding to her already impressive list of qualifications. Development of organisations teams and individuals, enabling improved and sustained performance. Change management, implementation of lean production principles, continuous improvement; the delivery of associated consultation, training, coaching and assessment. Hilary is an accomplished Chartered Management Accountant having worked in a number of sectors including Engineering, Retail, and Professional Services. She has extensive experience of using financial management to provide organisations with high levels of visibility and control whilst ensuring robust financial governance and fulfillment of statutory obligations. Hilary is also an experienced Training Consultant, and has led company-wide training initiatives, communicating complex financial information to non-financial individuals in order for them to control budgets and increase profitability. She has successfully developed delegates’ ability to scrutinise and analyse financial information in order to enhance their management of financial risk. Hilary is a member of the Association of Accounting Technicians and the Chartered Institute of Management Accountants. Richard has a strong background in the health sector worked in the NHS and private sector. A qualified professional delivering in the Learning Disability and Mental Health fields for over 40 years. As a Senior Nurse Manager he was involved in the training of staff, and supporting them to develop a new range of services. The training Richard has offered includes a range of health related topics. These includes issues which enables staff to support their clients as well as support each other in the workplace. The training offered is adapted to the needs of the participants and/or organisation. An specialist in working with ‘inclusion of people with a disability’ both socially and in employment.